Just recently I bought a horse trailer second hand. I decided already last year after I bought the new car, that I needed a trailer. So I started to look through announcements on the internet and only found an appropriate one last month. It needed to be black, as new as possible and as cheap as possible. Somehow, I actually managed to find something like that but of course, I am a perfectionist, there were some things to change and repair. First part of Pimp My Trailer – Hafl Edition: getting rid of the old stickers from the previous owner (“Rent this trailer! Tack Shop XYZ”) and get the Hafl Corporate Identity on it. 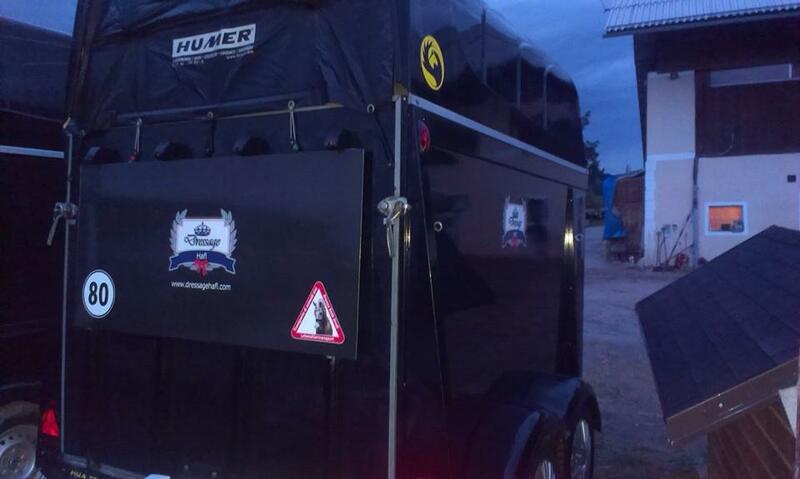 Next steps are: illuminate the tack department even if the trailer is not attached and attach protective rubber mats inside as the existing ones are not that nice anymore.